I know my R & B Yogis hear me speaking ad nauseum about vessels: cohered vessels and broken vessels. But I have yet to find a better analogy for the human condition and significant relationships. Just think about it, the main functions of a vessel are to pour and to hold. There are vessels of different material and are built to hold different matter. If you put the wrong material in a vessel...it may disintegrate. Put the right matter in a vessel and it will fortify it. There is matter that pollutes the vessel and that which purifies. If we look at our relationships in these terms, it provides insight into our karma (our causes) and our dharma (our purpose.) Our karma and dharma is what molds the cohesiveness of our vessel. We all are the containers of our spirits and our experience/karma. And in every relationship we all play a role as a container/vessel: pouring, receiving, spilling, emptying, holding. And it is through our relationships that we find out about our matter, the material in which we are made. And are given a chance to heal deep wounds or create new ones. Kundalini Yoga is the gold with which to heal your vessel's fractures, fortify it, and make it more beautiful and precious than it was to begin with. 1) Cohered vessel: No cracks. No trauma in this life-time. Strong sense of Self. Sturdy container. 2) Broken Vessels: Cracks. Has had trauma in life. Does not do the work to heal. Filled with doubts/fears. Broken container. Spills matter. Cant hold own matter let alone other's matter. 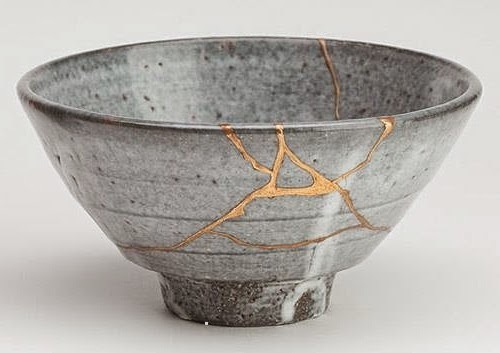 3) Kintsugi (Vessels): Repaired cracks. Re-parents one's Self. Overcoming doubts and fears by doing the necessary spiritual work. Stronger and more precious than it was to begin with. Fortified container. 4) Vessel that holds other vessels: Cohered or repaired the vessel. 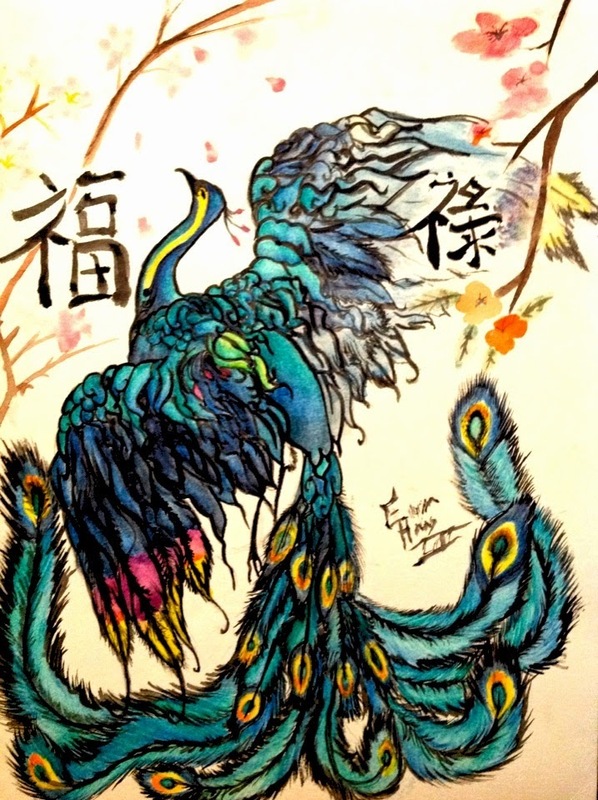 Ability to hold cohered, broken and/or kintsugi vessels. Contents are sought. Sturdy vessel. In my interactions, I like to ask my Self the following questions in order to maintain fulfilled interpersonal and significant relationships that are balanced and reciprocated: what kind of vessel am I in this particular interaction? What do I do the MAJORITY of the time: pour, receive, hold, spill. What is my responsibility as said vessel? Am I OK with this? Am I neutral in regards to my purpose? f I cannot be neutral what can I do to change it? There will be relationships where you are equally giving and receiving. These are fulfilling relationships that usually leave one satiated and inspired. There are other relationships where when one person is doing all the pouring. At times into a broken vessel and all the contents are spilled and not able to be reciprocated. No matter how connected that person is to Divine source, as a hue-man be-ing, it is only natural that the one in the dyad, doing the majority of the giving, will get depleted. This happens within our own families, with our significant others and even with our children. 1) Keep your Self fortified by being diligent with self care with conscious eating, exercise and spiritual practice. 2) Keep your contents pure by using discernment in WHO and WHAT you open your Self to. 3) Make one's boundaries clear by setting a designated space and time in which you are open and are called upon to be used as a vessel. Know what you are being called to do. 4) Check your ego by reminding one's self WHO you serve and that your purpose is to be just that...a vessel. The vessel is only as pure as it's contents. "Don't let society, your culture, or family define what is success and abundance. Let your heart decide, then live accordingly." Greetings Beloveds! Once again we gather in our healing circle to explore prosperity: How it is defined by society, our families and communities? What it means to us and what have been the themes in our lives that facilitate or obstruct the flow of love, creativity, and abundance to us? We have learned in past prosperity meditations, that prosperity entails far more than transmitting the appropriate mantras associated with abundance to receive all that is our birth right. Yes, unexpected monetary gifts will flow to you if you are disciplined with your practice. Isn't part of the reason why we do prosperity meditations? But also know that "the weeds" of doubt and fear in our subconscious mind that choke our growth and expansion will also come to light. Prosperity and our ability to live an abundant life goes back to our deep feelings of worthiness and our sense of Self. These are molded by our past life karma, in this life-time by our parents, and reinforced by our communities but also our significant relationships. Rubbing up, at times, against our already sensitive and painful wounds. The themes recur in each stage of our ascension until we embody the appropriate lessons and they become a part of our Being/essence carrying us into infinity. Are you ready to heal your karma in order to give/receive infinity and live an abundant life? FOCUS: Eyes are closed, turned up and in, focusing at the Third Eye. Or you may have the eyes open, looking down at the tip of the nose. The choice is yours. MUDRA: Hold your hands in GYAN MUDRA by touching the thumbs to the tips of the index fingers. Put your elbows by your sides, with the forearms parallel to the ground in front of you with the palms facing up, and wrists are straight. MANTRA: HAR HA-RAY HA-REE WHA-HAY GU-ROO (Translation: All aspects of The Creator are bliss) Chant the mantra in a steady cadence. Remember chanting is not singing. This mantra uses the three qualities of HAR—seed, flow, and completion—unto the ecstatic Infinity of God. NOTES: This meditation provides guidance, and the way through any block. The future is clear, without anxiety. Every cause has an impact and an orbit of effect. This meditation allows you to use the Neutral Mind to intuit all the expected and unexpected impacts of the mental thoughts you feel now, or that were a part of you in the past. If this part of you is unbalanced, people will distance themselves socially out of subconscious fear of your perception, bluntness, and truth. When balanced, you gain wisdom and self-guidance to hold in trust all that comes to you. You are never swayed by abundance and hold closely to the path. So there it is R & B Yogis! Lets cultivate abundance individually and collectively. For any questions and further exploration...seek me in the circle.